So the tagline goes in this 1984 Santa slasher that was once banned in the UK and withdrawn quickly after its original release in the US. So what was the fuss all about?  Here’s a chance to relive the nightmare on DVD – uncut and for the first time ever – in the UK. Poor little Billy gets sent to an orphanage after witnessing the brutal murder of his parents at the hands of a robber dressed in a Santa suit. Instead of getting a bunch of social workers to sort the traumatised kid out, Billy is subjected to years of tough love at the hands of the orphanage’s strict Mother Superior. Years later, Billy – now a tall, muscular and not at all unattractive teen (Brian Robert Wilson) – gets a job at a local hardware store. But when he is forced to dress up in a Santa costume for the store’s Christmas party, he flips and goes on a killing spree. By today’s standards, Billy’s murderous rampage is a bit tame, although the famous unscripted antler scene is still an eye-opener. 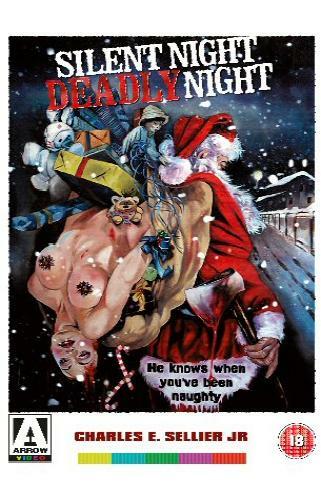 But if you remember that Silent Night, Deadly Night was part of the first crop of 1980’s slashers – and Tri-Star’s attempt to cash in on the lucrative Friday the 13th market – made on a tiny budget, by a handful of filmmakers still green to the genre, then this period slasher is pretty creative. This is also down to the director (prolific TV producer Chuck Sellier) and the writer Paul Caimi, who thankfully concentrate on the characters rather than making the film a vehicle for brutal and elaborate death scenes – one of the reasons why many of today’s slashers won’t be remembered in years to come, nor this film’s terrible sequels. Wilson is just OK as tortured teen Billy, but veteran actress Lilyan Chauvin truly sends a shiver down your spine as the Mother Superior. And watch out for that unrivalled scream queen Linnea Quigley doing what she does best. The extras on this Arrow Video release include an enthusiastic audio interview with the director that is very insightful – especially when you learn about the impact the film’s controversy had on his future as a filmmaker. Still, if you hate Christmas and everything it stands for, then Silent Night, Deadly Night is the festive film for you – unless you’ve been naughty, of course!